equipments or service from vendor. It is one-stop service to support both vendor and end user without having to approach to financial institution separately. tailor-made financial service to the customers. TTL considers risk and return based on the customer’s credibility. 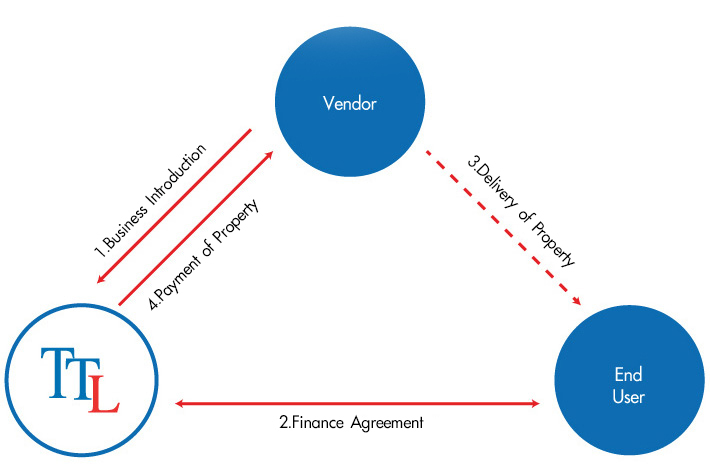 In some cases, it’s inevitable for vendors to enter into agreement with customers directly. 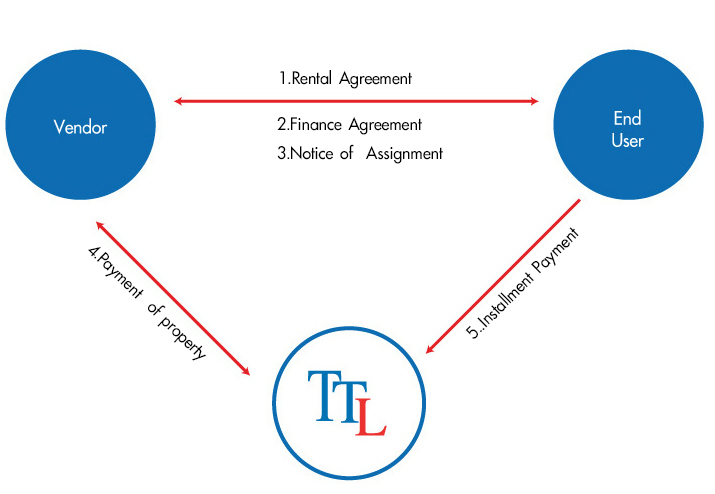 For such cases, TTL could offer to take over receivables with acknowledgement by the customers. Possible to accelerate more business. Possible to become more valuable as a one-stop total solution. Possible to complete sales earlier. Possible to be more competitive in the market. Possible to flexibly design new scheme to match with end-user requirement.